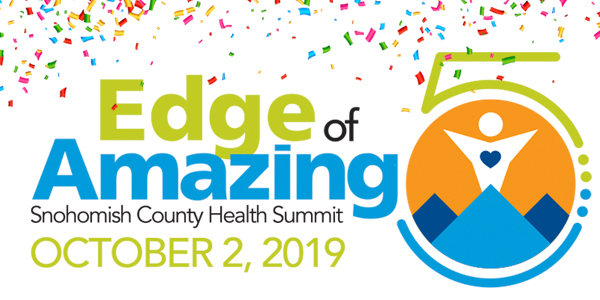 Providence Institute for a Healthier Community is led by a passionate team of talented individuals within the community who are dedicated to improving the health and well-being of those who live and work in Snohomish County. Scott Forslund is the founding executive director of Providence Institute for a Healthier Community. He brings over 30 years’ experience in healthcare, journalism and communications to these roles. He serves on a number of boards and councils including Chair, Board of Trustees, YMCA of Snohomish County; Executive Committee, Workforce Snohomish; Washington state Governor Jay Inslee’s Council for the Healthiest Next Generation; Board of Governors and Steering Committee, Civic Health Index, Seattle CityClub; Advisory Board, University of Washington-Bothell School of Nursing and Health Studies; Washington state Department of Health Secretary John Wiesman’s Partnering with Healthcare Work Group; Forward Looking Committee, United Way of Snohomish County; the Governing Council for the North Sound Accountable Community of Health; and others. Michelle Morford is the Program Director of Operations for Providence Institute for a Healthier Community. She is a skilled project manager with more than 14 years’ experience in the healthcare field. 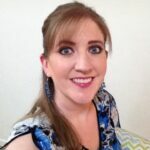 Michelle excels at facilitating project planning and creating actionable project goals. Most recently, she was the project manager for Patient Safety and Risk at The Everett Clinic. Prior she served as The Everett Clinic’s first and only event manager, organizing all events for the Provider Social Committee from 2007 to 2013. Michelle is certified in event management from Mount Royal College. Jessica holds a master’s degree in public health, community health education from California State University, Long Beach. 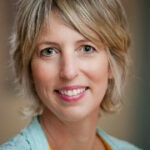 She is a trained WellCoach®, and a certified children’s yoga instructor. In addition to her certifications she has been a facilitator of several national educational programs: Increasing Human Effectiveness through the EDGE Learning Institute, BodyWorks – strong girls and healthy women through the Office of Women’s Health, and FamilyStrong™ – building strong and healthy families. Jessica has over 25 years of experience as a health educator, with a special focus in HIV/AIDS prevention and education. She has covered a wide range of diverse topics, health programming and individual behavior change efforts in community based settings that range from jail and street outreach, drug treatments programs, housing developments, to families, school and youth peer education. She believes that regular connections with our bodies, ourselves, and our relationships are at the heart of health and happiness. Jessica has special interests in how to create environments that support our well-being; optimize our energy; and narrow the gap between what we value and what we do. Rebecca has worked with the nonprofit sector for over 27 years and done grantwriting for 18 years — developing funding from foundations, corporations, charitable organizations, and government agencies. She has worked with nonprofits in a variety of sectors, including international relief and development, human services, higher education, and medicine, for organizations such as World Concern, Childhaven, Northwest Hospital and Medical Center, Saint Martin’s University, Sierra Nevada College, Northshore Senior Center, and Plastic Bank. She also worked in market research for four years, and carried this into her consulting practice, Sill Communications, with nonprofits, doing evaluation and research for outcomes measurement and product development, as well as HR and donor research. She has a master’s degree in Communications from Wheaton College. In her spare time, Rebecca enjoys long walks with her dog Rosco, being a mom to Caleb and Natalie, and adjusting to life as an empty nester with her husband Michael. Alison Christman is the administrative support staff for the Providence Institute for a Healthier Community and helps to support the Snohomish County Health Leadership Coalition. She brings over a decade of experience with Human Resources and Office Management to the team. Alison is a skilled collaborator, a compassionate team member and has a passion for training and public speaking which she developed during her time with the American Red Cross and as former volunteer firefighter & EMT-B. Alison has worked within Providence for 7 years bringing, to this new department, an abundance of new connections and internal knowledge. Retired, D.A. Davidson & Co.